The Macau government currently has no plan to adopt a licensing system for the so-called gaming “collaborators” in the city’s casino market – usually a reference to sub-agents that work with the licensed VIP gambling promoters, the latter often referred to as junkets. But the local regulator would consider public disclosure of a list of collaborators’ names. So said Paulo Martins Chan (pictured), director of the Gaming Inspection and Coordination Bureau, known in the Portuguese-language acronym as DICJ. He was speaking to local media on Monday on the sidelines of the Tenth International Conference on the Legal Reforms of Macau in the Global Context – Gaming Law, held at University of Macau. “Now the collaborators are basically working with the junket firms. So we [as regulators] don’t look at them independently. But we will see whether further considerations should be adopted on this [monitoring] issue,” Mr Chan told media. The junket collaborators are people that are not themselves licensed by the Macau government, but play a role in either bringing in to the local casinos VIP players, or securing player credit, or arranging player payment on losses. Kwok Chi Chung, president of the Association of Gaming and Entertainment Promoters, has previously told GGRAsia that his group would like to see the licensing of the junket collaborators. Currently on its official website, DICJ discloses a list of the city’s licensed junket promoters, but not their collaborators. The city’s VIP gaming promoters have to submit every year a list of the collaborators they plan to work with in the following year. They must also submit at that time the identification documents and the criminal record certificate of the intended collaborators, according to administrative regulation No.6/2002. The information is submitted – via the gaming concessionaires with which the junket operators are registered – to the gaming bureau. The bureau has the discretion to restrict the number of collaborators the junket operator can work with, or not to approve certain names on the collaborators’ list, the regulation says. This regulation, known as the set of rules regulating the city’s junkets, is now being amended as a “law”, Mr Chan noted on Monday. The amendment bill will “definitely enter the legislation process next year”, the DICJ head added. With the amendment, the Macau government is proposing a higher capital deposit for any licensed casino junkets newly registered in Macau. The junkets’ shareholder structure, suitability and financial strength are also the areas that the government would look into with the amendment bill, Mr Chan briefly noted without giving further specifics of the content of the amendment. “After adopting opinions from Legal Affairs Bureau, we think it will be a positive to the whole regulatory process if we can treat it [the amendment of the junket rules] as a law, so that we can have it handed to the Legislative Assembly for discussion,” Mr Chan remarked. The DICJ director also noted that his bureau has completed the general audit of Macau’s 126 licensed junkets, a process which was launched earlier this year. The audit works has looked into the “temporary deposits” accepted by junket operators. During the audit, the bureau identified “deficiencies” in some of the junket operators’ accounting system. 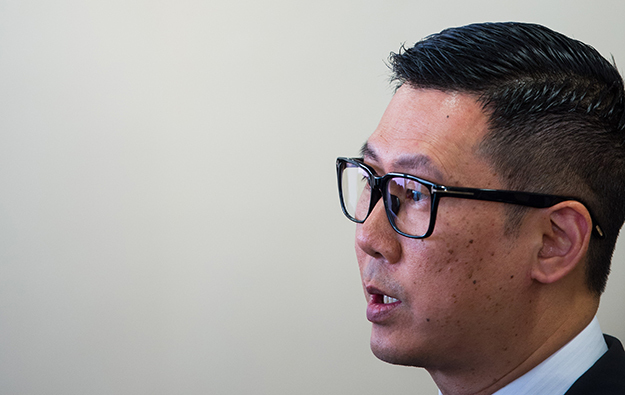 “Some of their [junket operators’] submitted accounts are incomplete, so we’ve issued them warnings urging them to make improvements; if they failed to do so, we would take that as a factor of consideration when renewing their licences,” Mr Chan stated in his Monday comments.